a. Are relieved that you wont have to entertain a bunch of noisy kids. b. Are appalled!Who buys their nine-year-old a cell phone? c. Get creative and have them play “hot potato” with their cell phones. d. Take away their cell phones and force them to be social and have fun.This is a birthday party, right? Fast-forward a few years to when my daughter was 11. She was invited to a Halloween party that promised a toilet-paper-wrapped mummy contest, and pin-the-wings on the bat. Instead, the 30 some-odd party girls divided up into cliques and collected in corners around the house gazing intently at their slide-texting cell phones. My cell-phone-less daughter came home sad and bewildered…so much for Halloween and so much for parental party involvement. Waiting until she was 13 to buy her a cell phone was a decision my husband and I thought reasonable. But she soon found herself left out of private jokes, spontaneous ice skating at the local rink and the latest on who was “dating” whom. She was left out and we were to blame. Or maybe we were to thank? Social pressure, particularly for a tween/teenager, is difficult and tricky. Although my husband and I did not want to cave to the mounting pressure, we ultimately agreed to look into a “starter” cell phone. But, was there a cell phone version of training wheels? 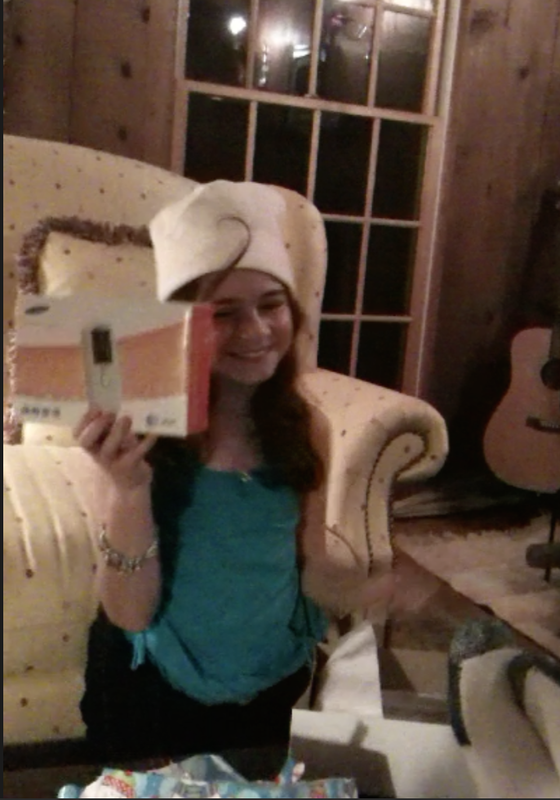 We shopped around and found a basic text-enable phone with a wireless plan that offered “parental limits,” allowing the input of your child’s top 10 contacts – mom, dad, grandparents, siblings – and a even room for a few “besties.” That Chanukah we surprised our daughter with her very own cell phone. Her reaction was to let out a joyful scream, fall off the sofa, and then onto the floor in ecstasy. Today, my daughter is 15, and like her peers she sports a $500 iPhone. The iPhone is her constant companion, her umbilical cord, feeding her the necessary socialization to survive in our always on, short-take, selfie-loving society. It’s a new conundrum we are all facing together. Unlike boys, girls are so much more socially aware of outside influences. Girls tend to be more social, more connected and they care more about fitting in. That’s why they read teen and fashion magazines and blogs. That’s why their smartphones never leave their sides. And that’s why they text-constantly, are obsessed with Instagram and Facebook “likes,” take hundreds of photos, and have group chats with their friends – a.k.a. online cliques. The rise of social media makes me sentimental for the good old days of being yelled at by our parents to get off our always-tangled corded telephone. 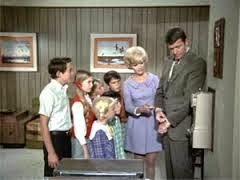 Remember The Brady Bunch episode when a huge phone bill prompts Mike to have a pay telephone installed to teach the kids a lesson in financial responsibility? What do they say? The more things change, the more they stay the same? This is FOMO (Fear of Missing Out) at its best – and worst. And increasingly, we are all guilty. Rushkoff calls this the new “now.” We all need to step back and help each other and our daughters wisely navigate through this new reality. 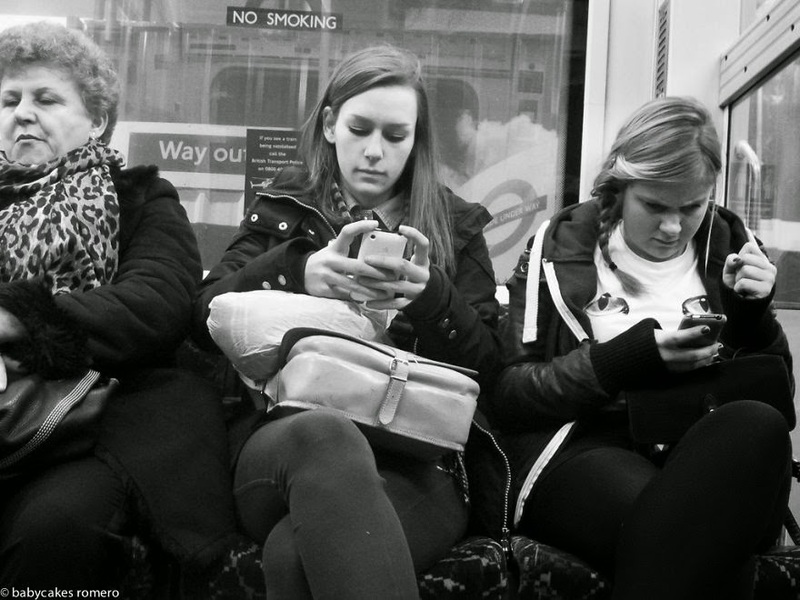 Our daughters may be digital natives, but they still need our guidance and our perspective. As a 25-plus-year communications professional, I have thrilled at riding the crashing waves of Internet culture. I have been fortunate to be part of seminal technology milestones that have impacted consumers and how we communicate: AT&T’s launch of the first video phone, IBM’s launch of the Internet, Sierra Online’s launch of an online gaming network, id Software’s QUAKE, the multi-player gaming phenomenon and House Party’s experience-driven social networking platform. But it wasn’t until I had my own kids that I recognized the profound changes these new technologies are having on our digital natives. Kids today are growing up EVEN FASTER – at Internet speed and nobody gave us a guidebook. There is no doubt that our new communications tools and the social media channels that ride on their backs are influencing the way we all socialize and communicate – girls and boys alike. But for our girls, our daughters who are growing up in a still male-dominated society, and who are often more harshly judged, it is even more profound and impactful. We need to empower our girls to find their own authentic voice and not rely on trendy Internet slang (LOL!) or emojis J to make their feelings known; to pick up their bowed heads from that hypnotic screen and be comfortable in their own skins; to learn how to speak articulately and with confidence; to stop posing like their favorite celebrity icon; to look a person in the eye; to shake a hand and make a physical connection. Mostly, we need to teach them to be present in the new “now” and enjoy each precious moment. As for the answer to the upfront multiple-choice question, I would go with d.